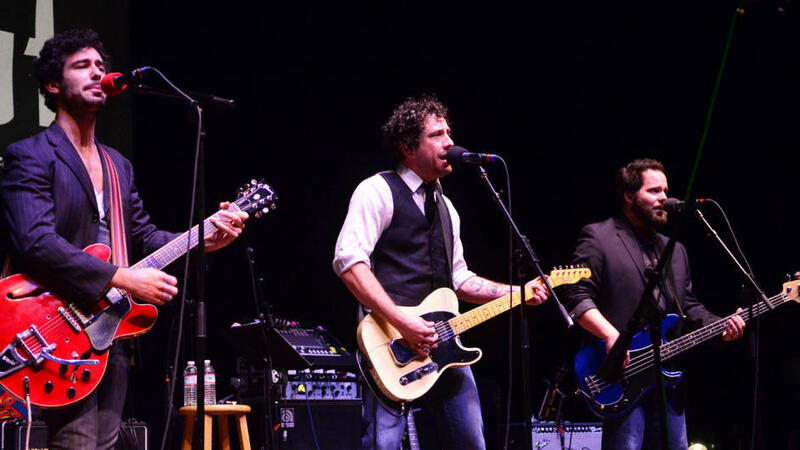 Singer-songwriter Will Hoge makes his fourth visit to Mountain Stage, recorded live in Charleston, W.V. With his mix of heartland rock, soul and country, Hoge's powerful voice, songwriting chops and relentless touring schedule have earned him tremendous respect among his peers. His song "Even If It Breaks Your Heart" has become a mainstream radio hit for the Eli Young Band, while his new album Seven has secured Hoge several appearances on the Grand Ole Opry, where he was first introduced by his hero Vince Gill. Hoge is backed by his own band for a set that includes the emotional ballad "When I Get My Wings," which was not heard during the radio broadcast. A lifelong Nashville native, Hoge told host Larry Groce that one advantage to living in the town is that when his children tell their teachers that their dad is a musician, they don't freak out, "because there's 10 other ones in the class." This performance was originally published April 6, 2012.